So, I guessed that sooner or later I’m going to want to need to access Microsoft Graph APIs from a HoloLens and I was writing some similar code for a different environment I thought I may as well combine the two and write it up. I have a few examples of using OAuth2 on this blog over the years with the most recent using ADAL (Azure Active Directory Auth Libraries) which comes in lots of different forms (see https://docs.microsoft.com/en-us/azure/active-directory/develop/active-directory-authentication-libraries). These support Azure AD v1.0 but I’m much more interested in Azure AD v2.0 libraries Microsoft Authentication Library (MSAL) – https://docs.microsoft.com/en-us/azure/active-directory/develop/active-directory-v2-libraries . An advantage using Azure AD v2.0 is that we can log in with either a personal Microsoft Account or an Organization account and have an API respond by detecting which one we are using and return the appropriate data. This makes the code I need to write to access my cloud file storage the same for both account types and make it all much simpler. There are additional advantages such as better standardisation and dynamic scopes but I will leave that to the docs to explain. Instead I’ll just talk through how I used the MSAL in a HoloLens app. 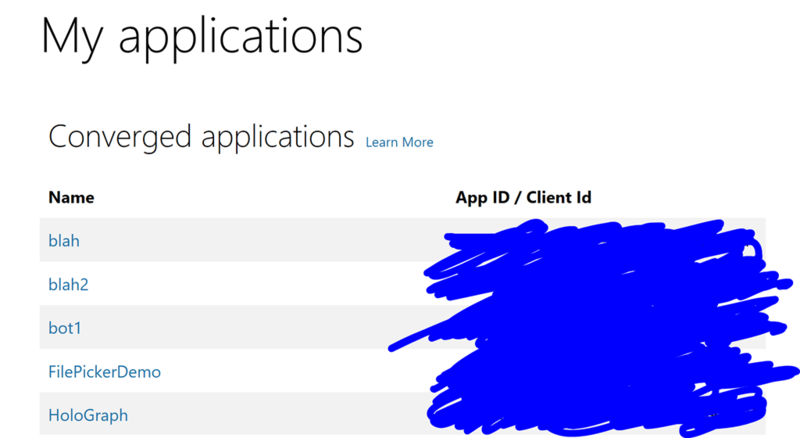 First go to https://apps.dev.microsoft.com/#/appList where you can register a ‘converged’ app (one that uses both account types). All I did for this one was register a new app, add a platform which I chose as ‘Native Application’ and made a note of the Application Id. – I copied these into my Unity project inside a Plugins folder and I configured the Inspector properties of the binary to ‘not process’ and just to work for WSA. (I also surrounded all referencing code with a #if !UNITY_EDITOR && UNITY_WSA #endif so it would only be compiled for the UWP app and not inside the editor). I made a ‘note to self’ that if this was a real project I might put this behind an interface and create a mock implementation for the editor. 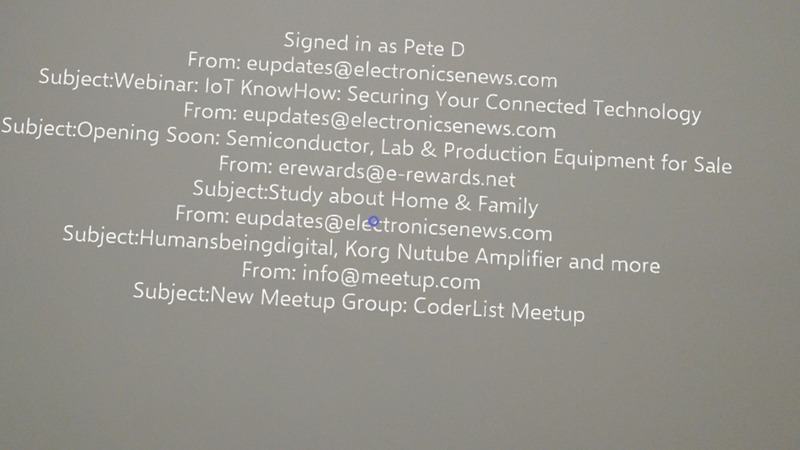 I also configured my Unity project to use Experimental .NET 4.6 support (see http://peted.azurewebsites.net/holograms-catalogueto-the-cloud/ for more details). This makes it possible to use the MSAL library and also some nice programming features such as async/await. Whilst this will get us quickly up and running it is somewhat incomplete. 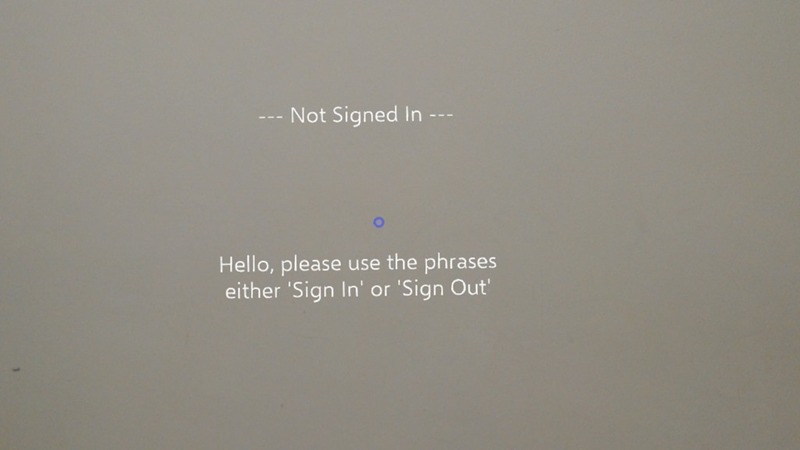 If we call something like this each time we run our app the user will need to authenticate each time which could involve multi-factor auth and whilst this could get tiring on any app typing characters on a HoloLens will get ‘old’ quickly. The MSAL helps us out with a couple of things; first, it keeps a User cache with tokens and also it will automate the process of getting a refresh token when our access token expires. In general, to take advantage of these we can have our app persist a user id string which we can use to pass a user back to the MSAL library. Also, we can use the AcquireTokenSilentAsync library call which will attempt to get us back an access token without making any network calls. We can fall back to AcquireTokenAsync if this method fails which will have the user authenticate again. 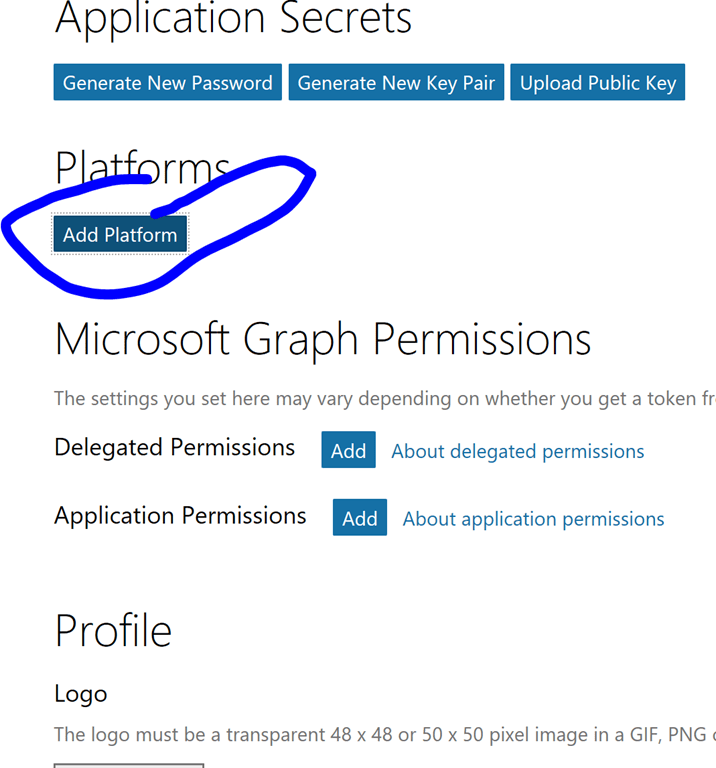 Once we have an access token we can unlock the Microsoft Graph API. 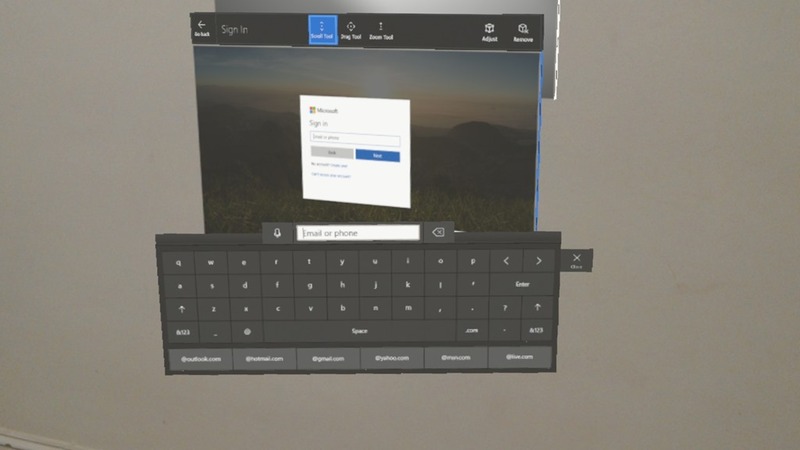 The final thing was how I put this into a HoloLens app. 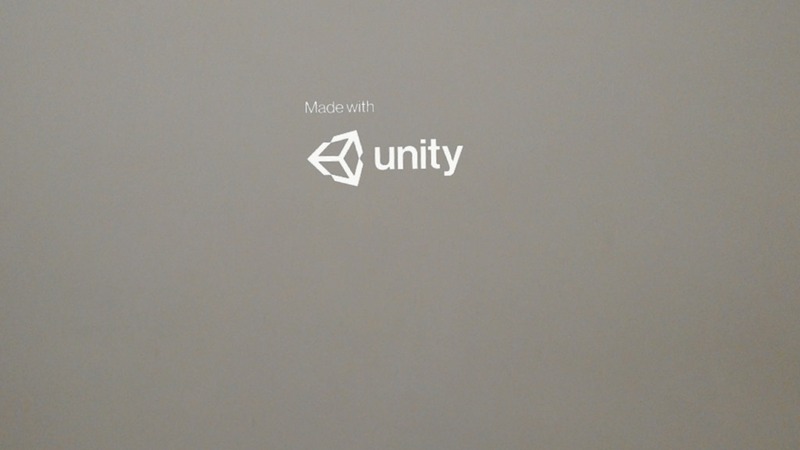 So, first I used the Mixed Reality Toolkit (https://github.com/Microsoft/MixedRealityToolkit-Unity) and used it to configure my project for HoloLens. 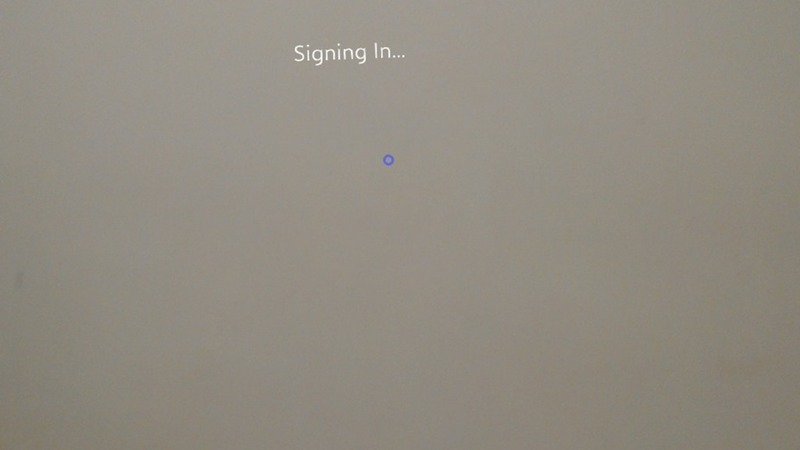 Then I decided to use speech command to sign in and out (the easiest option to hook up). As someone who is also working on integrating MSAL with Unity (although for iOS / Android), this post was a bit of a godsend. Appreciate the time you took to write it out, I was playing with embedded webviews, but using .net 4.6 and the official library should be a lot more robust. Happy that it has helped out. I haven’t tried this on iOS or Android but suspect it will work in the same way. Would be nice to have full browser support in Unity though. There is extra trickery involved with callback url schemes on mobile, and the .Net 4.6 experimental might be too risky for us at the moment, so I’m more leaning towards using the iOS and Android MSAL libraries directly and interface from there. One thing that is now clear: Embedded webviews are not allowed to be used for authentication, security-wise.